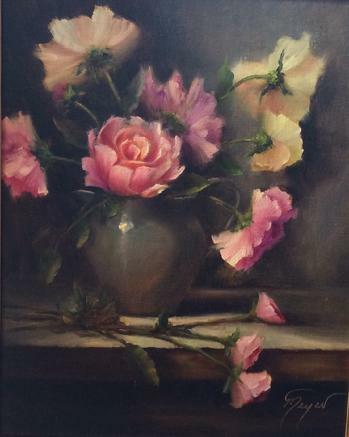 Pat Meyer has received numerous awards and accolades for her works in oil, pastels, and watercolors. These laurels have been the defining impetus behind her drive to refine her technical skills, always striving to find the perfect balance between technique and emotion in her work. 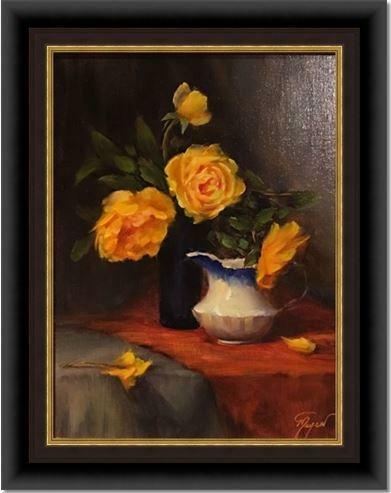 Pat’s art has been selected for showing in the Mayor of Houston's personal home, the Executive Offices at Texas A&M, City Hall in Conroe Texas, as well as the Sugarland Corporate Airport, the American Heart Association Executive Office complex. 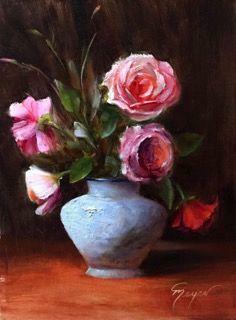 Pat is currently specializing in oil and her clients express their enjoyment for her refined representational style of art. 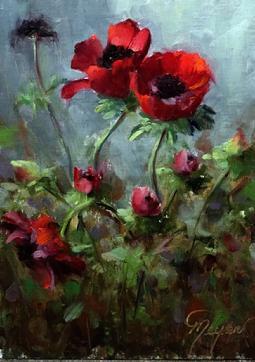 Her still life and landscape creations demonstrate her love of color. 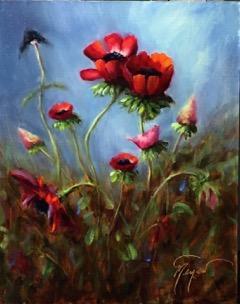 Pat’s balanced approach of personal expression and technical refinement is portrayed in each of her paintings. Her artistic drive attempts to capture the beauty of God’s natural creations and present them in such a way that they will invoke a special feeling to be enjoyed throughout life. Each and every painting should spark the sole of the viewer, as they are glanced upon throughout the day. She hopes that her work will bring joy and serenity, a blessing if you will, to all that she encounters. At this point in her career, commission works, primarily in Portrait, Abstract, Landscape, and Still Life, occupies most of Pat’s time. 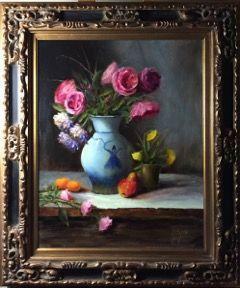 Pat tries to persuad her clients to incorporate a valued personal treasure; something that represents a special part of their lives, into the paintings that are commissioned. Further strengthening the emotional bond between the work of art and the viewer.